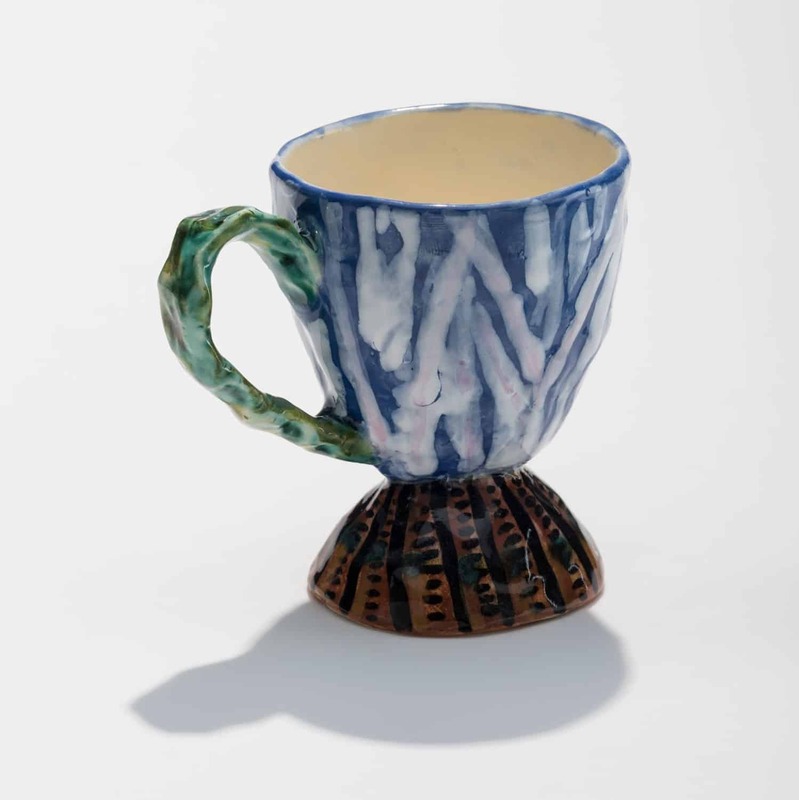 The improvisation of modelling a completed cup with handle and foot from one lump of clay with no joins is a way of composing forms whereby the interior space and the exterior shape hover in a sort of elastic dialogue that becomes fixed by ceramic processes. The trope of Found Objects that have ‘found’ one another in Jules Verne like aberrations of scale may give rise to thoughts about the glue of the barnacle, the muscle of the limpet, of inhabiting the littoral zone, the steady, structural rhythms of the laying down of calcium, the colours of glazes, the movement of tides, of voyaging. The comprehensive scope of Darwin’s life study of the adaptive variations in the jaws, gut and reproductive idiosyncrasies of the ubiquitous barnacle and the perpetual repetition and difference within the natural world, inform these improvisations. With these objects, I have entertained some constraints, intrigued by possibilities of participation in the hand to mouth dynamics of the cup. To view this online exhibition visit our website or come in to the gallery’s stockroom starting 20 September.